Denmark will buy data leaked from the law firm at the heart of the Panama Papers scandal, Taxation Minister Karsten Lauritzen has announced. An anonymous offer to sell data involving up to 600 Danish citizens was made to the tax authorities over the summer, he said in a statement. "We owe it to all Danish taxpayers who faithfully pay their taxes," he said. The decision was attacked as "deeply reprehensible" by a spokesman for one of the opposition parties. Mr Lauritzen did not reveal the exact sum to be paid but it is believed to be about 9m kroner (£1m; $1.4m; 1.2m euros). It is not clear whether Denmark is buying the information from the original source of the leak, who remains anonymous, or from another party. Mr Lauritzen said that the Danish government communicated with its source via encrypted channels after being put in touch by a foreign tax authority. The Panama Papers leak was the biggest in history. Some of the documents have been published by various media organisations but many remain unpublished. Germany, France and the UK are all believed to have paid for data on bank customers in the past, including a German payment in 2014 for data leaked from the law firm involved in the Panama Papers, Mossack Fonseca. Some 11.5m documents previously leaked from the firm to international media revealed huge offshore tax evasion. Mr Lauritzen said that Denmark "must take the necessary measures in order to catch tax evaders who hide fortunes in, for instance, Panama. Therefore we agreed that it is wise to buy the material". But he accepted that there "may be fundamental problems associated with buying leaked information" and said tax authorities "should be cautious". The proposal by the centre-right Venstre party - which rules as a minority government - is said by Danish media to have the support of the other two main parties in parliament, the centre-left Social Democrats and anti-immigration Danish People's Party. But the Liberal Alliance, Venstre's former coalition partner, sharply criticised the idea. Tax spokesman Joachim Olsen said it might encourage the theft of private information to sell it on to the Danish authorities. The Panama Papers, first detailed in April, revealed the hidden assets of hundreds of politicians, officials, current and former national leaders, celebrities and sports stars. They listed more than 200,000 shell companies, foundations and trusts set up in tax havens around the world. 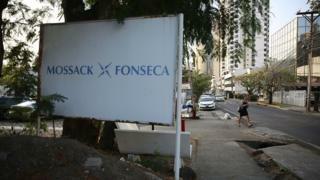 Mossack Fonseca said it had been hacked by servers based abroad and filed a complaint with the Panamanian attorney general's office. It said it did not act illegally and that information was being misrepresented.